…and actually liked it. Normally, I am such a linear person, such a text person, that the jumping around between frames and having no opportunity to imagine what characters look like, how they move, totally turns me off graphic novels. Neither bothered me this time, and I polished off Red Handed in an evening. 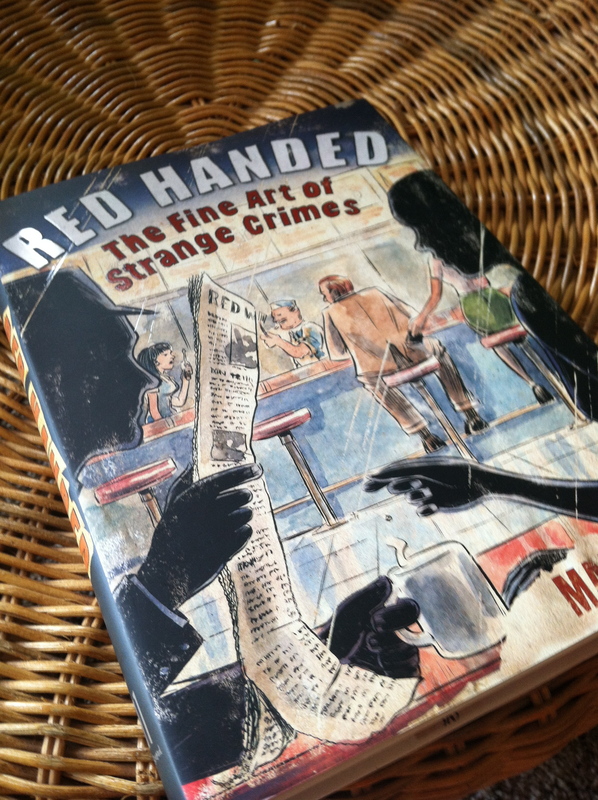 Noir fans, grab a copy of Red Handed: The Fine Art of Strange Crimes. You’ll like it.